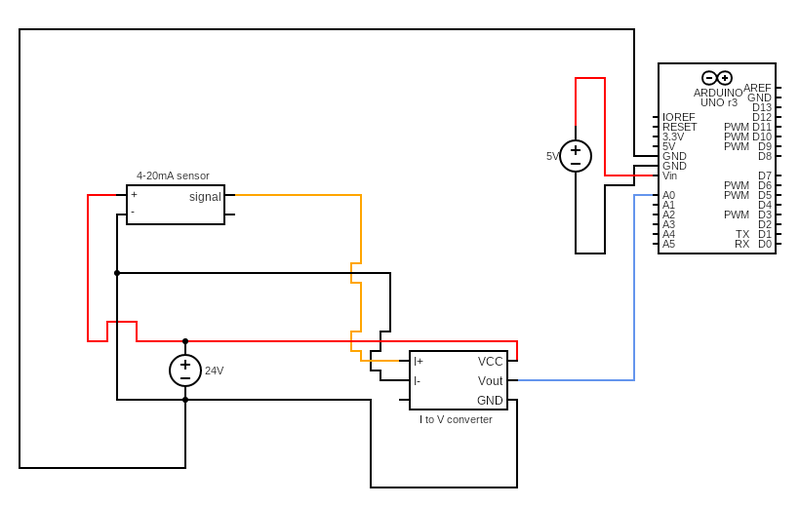 I have an Arduino connected to a 4-20 mA sensor through a current to voltage converter. When connected to the power supply the sensor reading fluctuates, as soon as I also connect it to a USB port it stabilizes and gives a correct reading (tested with other reader). You need a decoupling ceramic capacitor between A0 and GND. 100nF should work just fine. Not the answer you're looking for? Browse other questions tagged sensors analogread convert or ask your own question. AnalogRead always 1023 on Arduino Due?